Sugar is a house cat through and through. She was rescued from an RCR feral feeding station by a volunteer just as the brisk, icy temperatures were setting in. Hungry and cold her pleading eyes begged for a better life. Sugar is an affectionate, calm lady who doesn’t mind a little pampering. She dreams of soft cushions and regular meal service. Sugar is now safe and happy in a foster home. 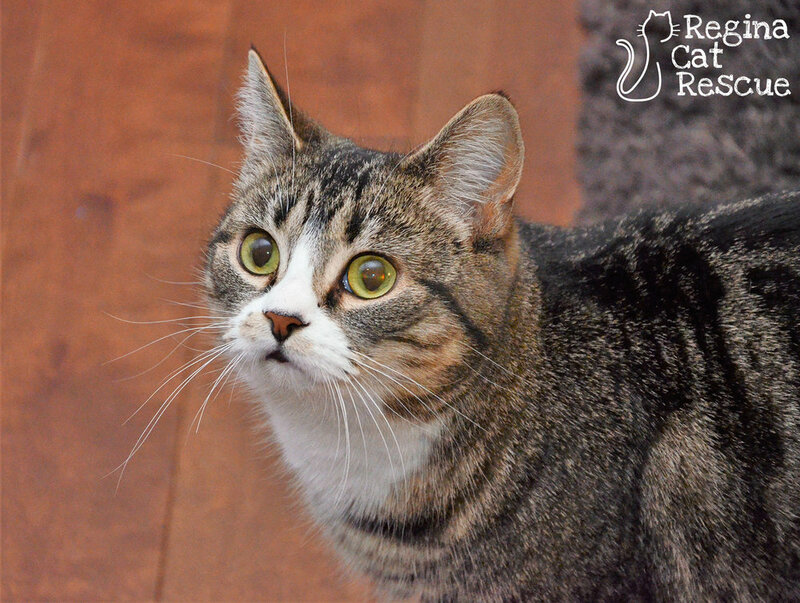 Sweet and loving, this tabby cat contently shares the home with other cats while she waits for her forever home. Do you have a soft cushion at home that needs someone to keep it warm? Sugar could be the cat for you. If you are interested in Sugar, click here to view our adoption contract and click here to complete an adoption application or email the RCR Adoption Coordinator at rcradoptions@gmail.com for more info.